The UNB English Language Programme - StudyinCanada.com! The English Language Programme (ELP) is one of the oldest language schools in Canada. Since 1950, we have helped learners improve theirEnglish for work, academic purposes or personal enrichment. Our "live and learn" methodology is intensive, creating an energetic, lively and often life-changing experience. 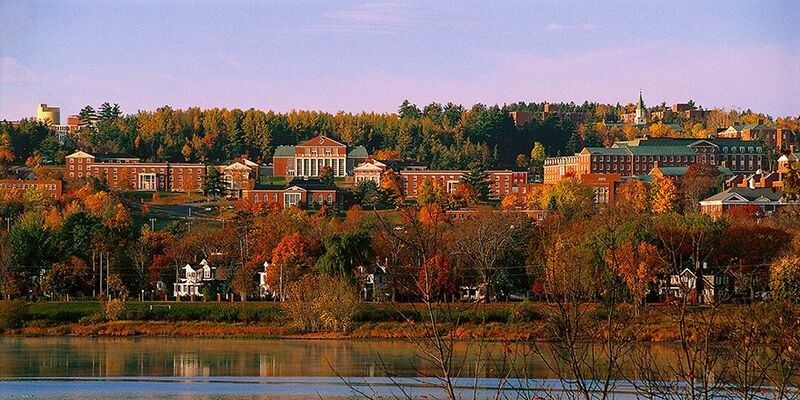 We are located on the beautiful Fredericton campus of the University of New Brunswick (UNB). Established in 1785, UNB is the oldest English-language university in Canada. The sixty-plus buildings on UNB's treed-lined campus are connected by well-lit streets and paths. Situated on a hill, the campus offers a safe, quiet environment within walking distance of both uptown and downtown shops, restaurants and cultural venues. Unique, dynamic methodology: our reputation is built on intense, efficient and effective language instruction. English-only environment: students commit to using English only, creating a mutually supportive immersion setting. Variety of course offerings available throughout the year:choose from short-term intense immersions, academic preparation programs, study abroad formats and more. Small class sizes: on average class size ranges from 2 –20 students, depending on the course you choose. Personalized attention: all students are important members of ELP's multicultural community. We want each student to have a positive learning and cultural experience. Fredericton, the capital of New Brunswick, is a safe, welcoming and vibrant city –the perfect place to practise your English! Whichever of our courses you choose, your commitment to use English only means you will experience steady progress, strengthening all aspects of your English abilities.While studying with us, live in residence, find your own apartment, or choose one of our courses which includes host family accommodations. Each year, our courses attract hundreds of learners from over 70 countries.Students of all ages and cultural backgrounds merge to form an exciting learning environment. Come study with us at the UNB English Language Programme in Fredericton, and prepare to experience our flexibility, intensity, quality, and portability!